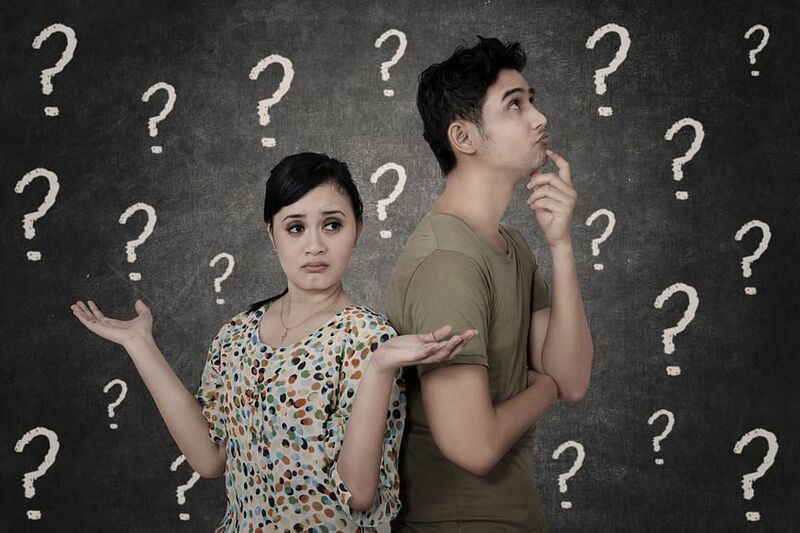 Men say they want 'a simple girl': What does that even mean? 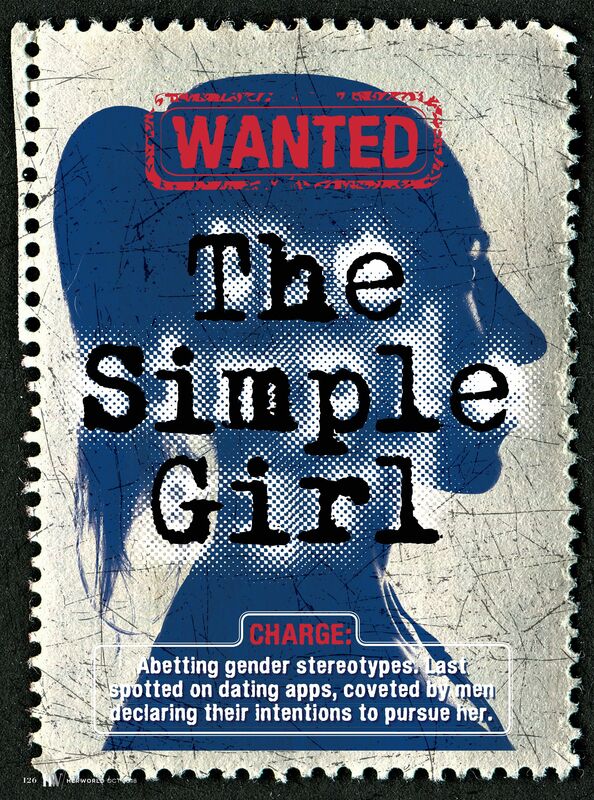 Who is this "Simple Girl" seen on dating apps, social media comments, and dating forums? What does the term even mean? Have you ever talked to a man and asked what they're looking for and received "A simple girl" in response? Why are men so attracted to her siren song? What is she? Why is she so desirable? We investigate just who this girl is and what the term means. When I am tasked to find out who the “simple girl” is, an image comes to mind: She’s sweet and biddable; she replies “anything” when you ask her what she wants for dinner; she has long hair (but of course) and looks like an influencer; she never throws a tantrum when her man is working overtime with his female colleagues. Sounds like a catch, eh? Am I too quick to judge? 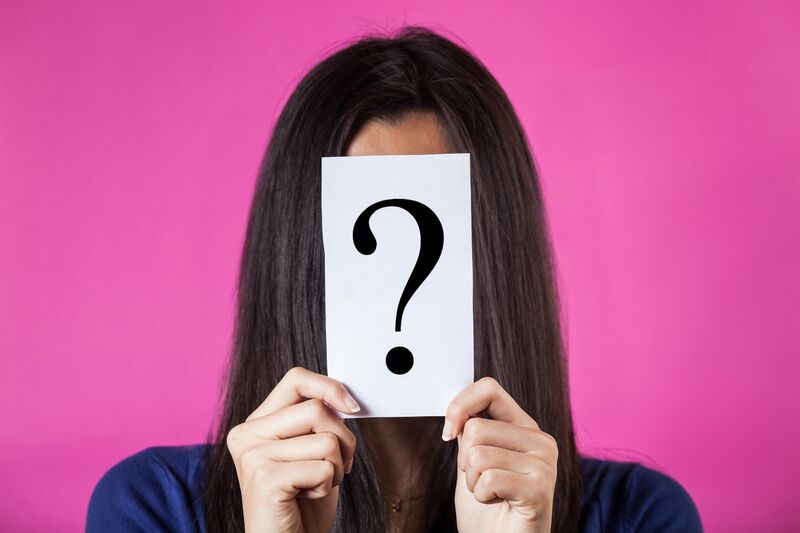 If not, then who is she really, and why is this elusive simple girl so popular on men’s “What I Look For” radar? Conversely, does a woman call herself a “simple girl” because it will invariably snare her a certain type of guy? I have to delve into this. Google “simple girl” and you’ll find multiple articles on why men want her, and why women should strive to be like her (shudder). It’s in line with the profiles that have popped up on my Coffee Meets Bagel feed, where men pen pithy messages about how they’re “interested in meeting a simple girl” and “looking for a simple girl who’s genuine”. Oooohkay. So is she submissive or sensible? Bimbo or brainiac? Possessive or practical? I gather a jury of female Instagram followers to find out. The question I put to them: If a simple girl were to take the stand, would you charge her as an accomplice in encouraging stereotypes, or declare her innocent? I had hoped that the public vote would make this an open-and-shut case. After all, dating tropes like “girl next door” or “bad boy” tend to have a consensus about their implications. The simple girl, however, is eliciting polarising extremes, and I need to find out more. READ MORE: IS THERE SUCH A THING AS A GOOD TIME TO TAKE A RELATIONSHIP BREAK? So I call the first witness to the stand: Dawn*, a woman who freely admits to being described as simple. A mutual friend urges me to speak with her, describing Dawn as “a really simple girl who’s really popular with men – and I mean that in a good way”. It isn’t a xiao mei mei who turns up to meet me. Dawn is smart, with a respectable job she was headhunted for, looks me in the eye when she answers awkward questions, and gives refreshingly honest answers. As for her apparent popularity with men, she’s more modest about her magnetism – though she does confirm she is currently with a boyfriend of a year whom she met on a dating app. He’s with her, she believes, because she is genuine and an open book (“that’s what he tells his friends when he explains why he’s into me”). She’s not fussed about material goods or fancy meals, and lets her boyfriend take the lead on travel plans. An extreme case: agreeing to a two-week trip to Europe with just a cabin-sized suitcase, as suggested by her boyfriend. But to her, it’s not about blindly saying yes to everything he says. She agreed to a tiny suitcase not out of subservience, but because she was convinced by his logic that it made for convenient travelling on multiple train journeys. As for the sweeping statement that the simple girl tends to be unemotional and causes less drama, Dawn shuts it down. “Simple has nothing to do with being emotional – who doesn’t get emotional from time to time?” she points out. I’m not convinced, so I continue digging. READ MORE: TRUE STORY: "MY FIRST LOVE REAPPEARED AFTER I WAS ENGAGED TO SOMEONE ELSE - BUT I TOOK HIM BACK"
As far as case studies go, Dawn is rational, gives carefully considered answers and stands by her opinions. It is clear that I need to find her male match. So I search. I speak to men. I ask for referrals. But it seems that most men prefer to remain politically correct, or choose not to incriminate themselves. If the “simple girl” is someone like Dawn who is not materialistic, and is down to earth and genuine, aren’t those all positive qualities that men could champion? Not too many men stand up to be counted, though. But then I find Ron*. Maybe he can make a case for it. Ron* is referred to me by a female friend who is fairly certain that he would be a prime candidate for opting for girls who aren’t smart or opinionated (her words). And what does he think of such men? The only man I meet for this report who seems to speak freely is Sam*. “A simple girl is probably what every guy more or less wants,” says Sam, controversially. He defines her as “not overly particular about anything, not superficial, not extreme in any aspect of her personality”. I have already done my due diligence with Sam’s exes, and I know them to be well-spoken, bubbly and argumentative when they see fit. If we’re talking evidence, it’s not adding up. When asked how his exes fit into this mould, Sam admits that his words aren’t realistic. “At the end of the day, everyone has differences,” he says, backtracking. He says he was attracted to his exes because they were genuine and good-hearted. I chance upon my final witness by accident, but is it a coincidence that it was the aforementioned Dawn who provided his contact? Is he a tainted witness? I call him for his testimony. Jason* is an expat who has lived in Singapore for three years. He says the idea of a simple girl isn’t as common in his native Australia, but he’s seen it come up online in forums like Reddit and in social media comments, more so by Singapore men who are disillusioned by the dating game. These men, Jason believes, have had negative experiences of being expected to constantly fork out the cash, or deal with difficult demands. The knee jerk reaction after a bad encounter is to instinctively look for the opposite. His words remind me of a conversation I’d had with Charlie*, a man still feeling the aftershocks of an ex who threw public temper tantrums and made unwanted appearances at his office (crikey). Charlie had actually said: “Just the other day, I joked with my friends that I wanted someone simple.” Conscious of being on the proverbial stand, he’d quickly added that he wasn’t being entirely serious. (I noted down this untrustworthy pattern of backtracking of opinions.) “It’s important for me that I don’t have to spend most of my time traversing a minefield trying to figure out what she means,” he’d said. To him, simple meant playing games – he was in no mood to deal with more. The takeaway: Some men make a case of wanting simple women because they can’t deal with supposedly high expectations. responses – and stands accused of perpetuating the stereotype of feminine subservience. If the jury can’t come to a conclusion on who the simple girl is, I’ll have to draw my own conclusions. Here’s what I do know: A recurring statement is that some men gravitate towards a drama free relationship (which means being with a woman who is less combative), but the theory quickly sinks when even these men admit that it’s not realistic. But maybe the point isn’t to pass judgment. Dawn had shaken up my preconceptions of what I’d assumed was an open-and-shut case of stereotyping. And clearly, plenty of others don’t see the term as derogatory. The men on the dating apps probably don’t think so – perhaps some aren’t woke, or some are blithely seeing the phrase as a synonym for simply being down to earth. No one likes having a label pinned on them, much less a reductive one. I’d like to make a case for women in general: We’re complex, we eat our feelings; we are manic and we are also mellow. We’re also drastically different from the next woman on the street, and if that results in difficulty in comprehension, then we’d advise you to take a hike to Stepford. So, who’s the simple girl? She doesn’t exist. And it’s probably for the better. READ MORE: TRUE STORY: "MY BEST FRIEND & BOYFRIEND GOT TOGETHER RIGHT UNDER MY NOSE"
So what if you're single forever? Is there such a thing as a good time to take a relationship break?